Costs: Box lunch $15, Charity Laps $20 and BBQ Dinner/Happy Hour $25 ($10 for kids 5-13, kids under 5 free) , all held at the track. One T-shirt included with each Charity Laps registration, additional T-shirts $10 each. Deadline: Registration opens June 30. Deadline to register is Sunday July 29. PorscheFest is back! 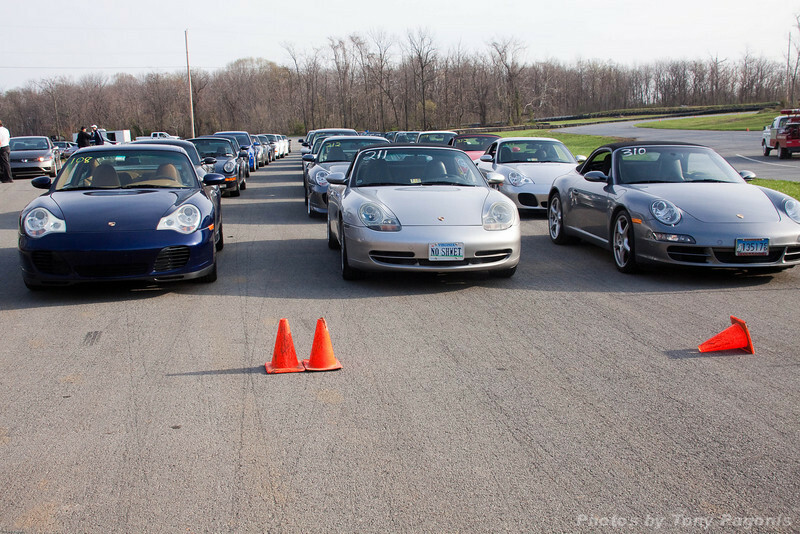 Drive & Dine is returning to Summit Point for PorscheFest 2018 to enjoy the day. Glenn Havinoviski and his Drive and Dine posse will lead us out to Summit Point through the wilds of Loudoun County and exotic West Virginia. No helmet or racing tires required but keep your car in top shape for the drive! A Charity (Parade) Laps event starting around 11:45 am where you'll have the chance to take parade laps around the track for about 15 minutes! (Remember we said keep the car in top shape!) Number of vehicles that can do it will be limited to 30 Drive and Dine vehicles, with the rest "waitlisted". Charity laps will be $20 and include one T-shirt per registration (additional T-shirts for $10 each). The proceeds from the Charity Laps will benefit Meals on Wheels Jefferson County (http://mowojc.org/). Box lunch for $15 each (or you may bring your own) after the Charity Laps event. We will enjoy lunch in the timing tower. We will be offering a special "class" for D&D participants on the solitary life (!) of the race track corner worker/flagger /volunteer. As you can imagine, working in 100 degree temperatures outside in August (or 30-below wind chills in March while wearing all white) is some kind of crazy. The class will provide an rollicking overview of the basics of flagging and assorted foibles from the annals of DE and other track adventures. At 5:30 pm or when the track officially goes cold for the day, happy hour will take place behind the paddock, followed by a BBQ dinner catered by Railside. Enjoy food and drink with the DE folks and other members! ROUTE: Across the heart of western Loudoun and Clarke Counties into West Virginia. We should arrive at the track before noon. COSTS: Box lunch $15, Charity Laps $20 and BBQ Dinner/Happy Hour $25 ($10 for kids 5-13, kids under 5 free) , all held at the track. One T-shirt included with Charity Laps registration, additional T-shirts $10 each. If you have any questions please e-mail driveanddine@pcapotomac.org.